The KTPF (Korea Teachers' Pension Fund) has published a useful guide for foreigners in English about the pension scheme. There's info about retirement, taking a loan out against your pension, switching to the public pension, and more. Here's the link to PDF guide. NB: I won't be blogging at TEFL Tips during December or January. While I'm on break you can read posts by other TEFL Tips authors as well as my other blogs. I will start blogging again at TEFL Tips in February. I have a love-hate relationship with dress codes. I know they're a necessary evil. Some places have a strict no jeans dress code. I understand that you shouldn't be wearing ripped, faded jeans to class, but there are nice jeans out there. Premium denim trouser jeans often carry a hefty price tag. Dark denim can easily be dressed up and can be just as versatile as black pants. I've seen women teach in harem pants, skin tight pants, and even mini skirts (but they're ok because they're not jeans). I've seen both men and women wear old ratty sweaters, jean jackets (somehow those are ok), and beat up shoes to the office. I think many places should ditch the no jeans dress code or at least change it. If it's professional, like dark denim, it should be ok to wear to work. If it's not professional, like a mini skirt, you shouldn't wear it. People should use common sense and not just ban jeans simply because they're denim. Below are some options you have for getting married while living in Korea. 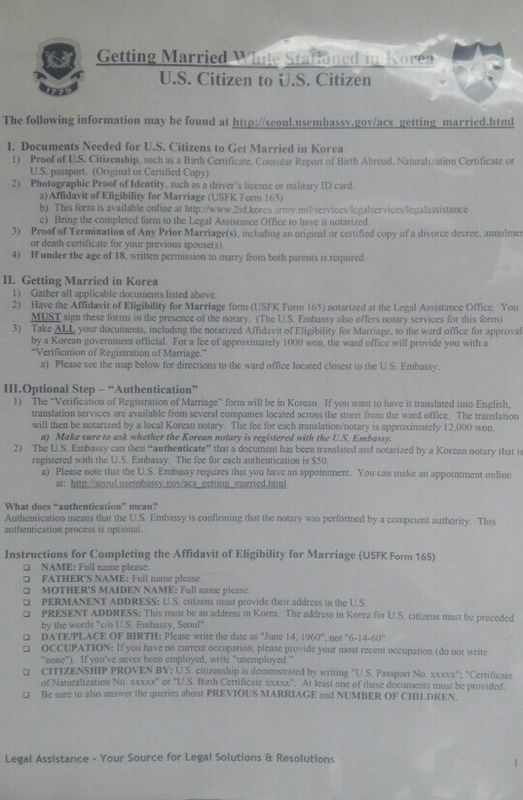 If you or your future spouse are USFK and plan on getting married at the gucheon (district office) in Korea there are some more steps that you will have to do ahead of time. If you are eloping or doing a proxy marriage you will not have to do this. There are different steps to be taken depending on if both of you are American or if one of you is not American. I teach a variety of classes at my university and some of those classes focus on speaking, listening & grammar for first and second year students. English levels vary among students and it’s often a challenge to set up fun and engaging speaking activities. With lower level classes, students need scaffolding and preparation before they begin an activity. On top of this preparation, it can also be difficult to explain the rules and guidelines. This process can be time consuming and can sometimes feel futile. So recently, I started a new ‘category’ activity with all of my freshmen and sophomore English classes. It has been successful beyond expectations and I hope that it can help other teachers. Full disclosure: I didn’t invent this activity but I haven’t heard other teachers use it in quite the same way. First, look at the vocabulary your book uses in any particular week. Last week, my student’s vocabulary lesson included “rude” and “polite” in their learning objectives. So I gave students 3 minutes to make a list of polite actions in Korea and another 3 minutes to make a list of rude actions. I allow students to use their phone dictionaries and each group (usually groups of 4) assign one student to be the writer. The other students in the group have to give their team writer ideas. After the combined 6 minutes is up, I have students count up the number of rude and polite actions they have written down. The team with the most points wins. It’s simple, I know. It’s also an EFL version of Scattergories but there’s more. Next, I try to combine vocabulary learning objectives with grammar learning objectives. For example, I asked students to practice gerund phrases and agreement/disagreement in their groups after the activity. Students now have a list of words that they have created and are given a language prompt to practice with their group. Instruct students to use the words on the list to give their opinion and pass the paper to the next student. In this case, students said something like, “Spitting is rude” with a response, “I agree/I disagree.” Higher level students in class can be encouraged to expand on their speaking by answering why they think it’s rude or polite. I recommend supplementing these games with pictures and language prompts to help lower level students get involved. 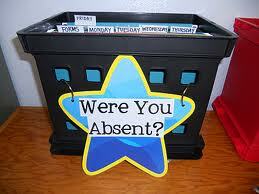 This activity has worked very well in my classes. There are a few reasons I think it’s an effective game and speaking activity for students. First, students are creating their own opinions and sentences in collaboration with one another. Also, students have fun competing with one another. The game isn’t just fun for the sake of fun either. The speaking activity that follows is crucial to maximizing student talk time. Lastly, this game is simple, can be used with a variety of students and a variety of lessons. I have used this activity in many of my classes and my students find it fun and engaging every time. Again, I’m not inventing anything new . I’m merely putting a twist on a popular game and using it to get my students talking in an engaging, competitive, and low pressure situation. Try using it with your class. You might find that it works. This is part of the series, Getting Married While Living in Korea. If you or your future spouse is a service member, DoD civilian employee, or contractor AND both of you are Americans, there are some steps that you must take before you can get married. You can see what you have to do in the photo below. If one of you is not an American, there are tons of hoops that you will have to jump through and you can find them here. It's a bit of a pain to do all the paperwork and because of this, you might want to look into other options, such as getting married back home, eloping, or a proxy marriage. I have information about the latter two: eloping and proxy marriages.